Let me begin my first post of 2013 by saying that I hate New Year’s Resolutions. I never make them and I get uncomfortable when people begin to talk about them. It’s like talking to someone with a booger hanging out of his nose; it’s awkward and embarrassing for both of you. Personally, I can never find time over the holiday season to reflect on what truly needs to change in my life and how I am going to do it effectively and for the long-term. Who can think straight with eggnog, peanut M & Ms and sugar cookies at your fingertips? Companies don’t hold major strategy sessions in December. They hold parties and give bonuses! I try to be as kind to myself as I am to my employees, or would be if I had any. In that spirit, I am tabling any discussion of “resolutions” for a later date. Until then, let’s talk television. 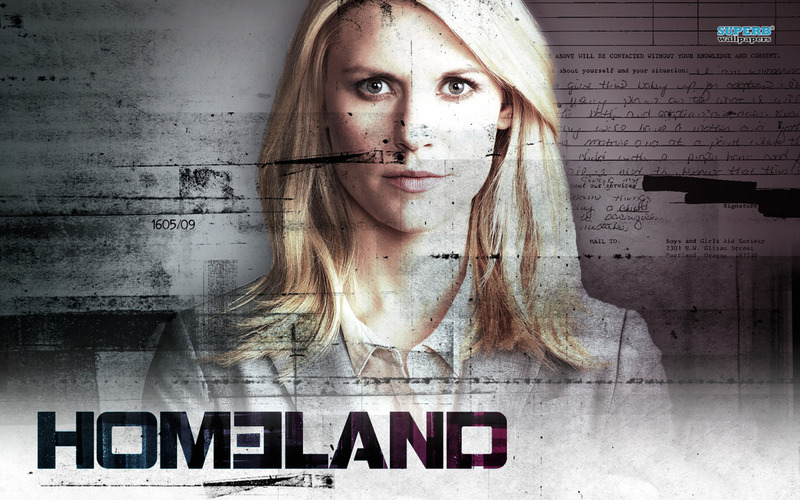 One of my favorite shows of 2012 was “Homeland” on Showtime. If you haven’t seen it, let me summarize it briefly for you: Carrie Mathison, played by the fearsome Claire Danes, is a CIA agent, whose mission in life is to catch terrorists who want to attack her beloved USA. Carrie is tough, talented, insightful and excellent at her job. Carrie is also bi-polar, spotty about taking her medicine, and has recently undergone electro-shock therapy. I know it sounds crazy so far, but the writers make it work. The audience believes in Carrie, her insights and methods, because she is never wrong. When every Chief Knucklehead at the CIA doubts her decisions, or refuses to follow up on one of her leads, we all shake our heads in collective disbelief. Apart from willful obstinacy, why would you doubt someone who is always right? I think I know why and I don’t think it’s a cheap trick. PDS isn’t just a storyteller’s gimmick. PDS lies at the core of human nature. We doubt what we can’t see for ourselves, what we don’t understand, what we didn’t discover on our own. There may be exceptions to the rule, but they are primarily limited to scientific principles. No matter how many times I am right about directions, my husband still doubts my ability to get us there. No matter how many times Tim predicts trouble when our kids start to wrestle, I let it happen anyway, only to have clean up the wreckage shortly thereafter. No matter how many times we urge our kids to put on shoes before they go outside to play, they ignore us, only to frequently hobble back inside a few minutes later with a stubbed toe, or a bee sting in their heel. Nowhere is Persistent Disbelief Syndrome more prevalent than in our relationship with God. The Hebrew Scriptures are rife with stories of the Israelites forgetting who Yahweh is and what Yahweh has done for them. From freeing them from slavery to sending them manna from heaven and water from a rock, the Israelites continued to doubt that God will care for them. The New Testament shows that the followers of Jesus do no better. Though Peter witnessed miracles, healings and conversions, and even the transfiguration, he still jumped ship the moment Jesus’ story took a dangerous turn. The Apostle “Doubting” Thomas could be the patron saint of PDS (though we might call it Perpetual Doubt Syndrome in his case). Over and over again, the scriptures ask us to “Be not afraid,” but that is easier said than done. Fear dissipates only where trust prevails and sometimes, it is really, really hard to trust God. How many loved ones have we lost before their time? How many once-cherished beliefs have been stripped away? How many hopes and dreams have been unmet, leaving us disappointed and lost? Those are ripe conditions for PDS to flourish. When someone consistently disappoints our expectations, credibility becomes an issue, even if he, or she is never wrong about the one thing. To avoid chronic PDS, I have to remind myself frequently that I can trust God about the one thing. I have not yet faced a situation I could not deal with, an obstacle I could not surmount, a hardship I could not grow and learn from when I have trusted in and aligned myself with the power of Love. But it is still hard. “Love never fails,” a wise man once wrote; what fails is our ability to trust in that Love. And when we doubt, like Carrie’s coworkers on “Homeland,” all hell breaks loose. We go after the wrong target; we leave dangerous people in trusted positions; we make poor decisions based on our own limited perspective. Relying on our own imagination to decide what’s possible, what’s good and just in every situation, we are bound to screw up. But if we can get past our PDS and trust the Love that always seems to get it right, we’ve got a shot at saving our hearts, our lives, and maybe even our very homeland. Posted in Love, Movies, Self-awareness and tagged as Carrie, CIA, Deggens, doubt, Homeland, Mathison, New Year, PDS, Resolutions, Showtime. I’m not sure if it’s you or Deggens who put “Elementary” in the PDS category, but whoever it is must be watching a different show than I am. Sherlock works closely with the police in this version, and they often call on him for help because they DO believe that he is right most of the time. During the interview with Deggens, they highlighted a conversation that Sherlock was having with a detective/ police officer, where the detective belittles his theory/ argument about the type of bomb that was used. If Sherlock is right, it eliminates the primary suspect they have under arrest. In that episode, the powers-that-be clearly suffer from PDS. The same is true in “Homeland;” they doubt Carrie constantly, but they employ her because she is right so much of the time!